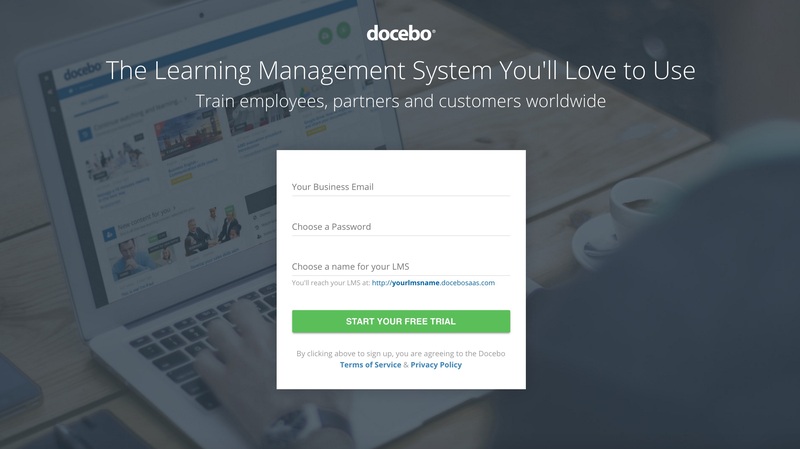 Docebo allows you to organize and manage your company’s training activities. Using several tools available in your platform, you will be able to organize, manage, monitor and report all of your course activities. 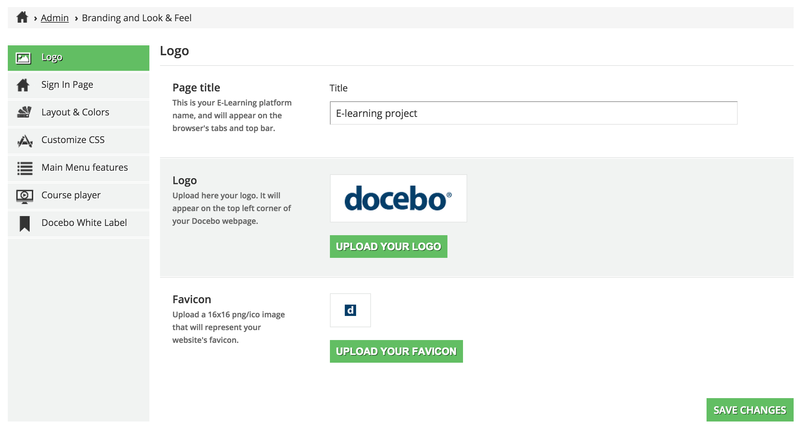 We know that using Docebo can be difficult if you’re new to LMS systems. Perhaps you won’t know where to begin, so we’re created this brief manual to help you get started. Choose a name for your platform, add your email address, create a password and click Start Now. 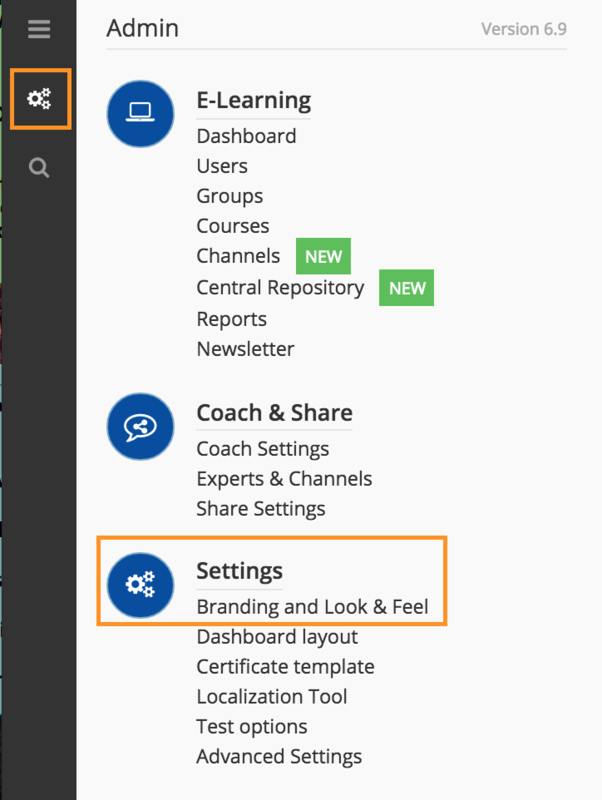 Select Admin Menu from the sidebar and click on Branding and Look & Feel. This option allows you to customize the logo, login page layout, colors, CSS, and users menu. The White Label app allows you to rebrand your platform. Start populating your platform by importing users. From the sidebar, click the Admin icon and select the Users option. You will be redirected to the Users main page. Here, you can register new users to the platform and, later, manage previously-registered users. Remember: You can register as many users you want. However, they will only be considered Active Users if they log into the platform. 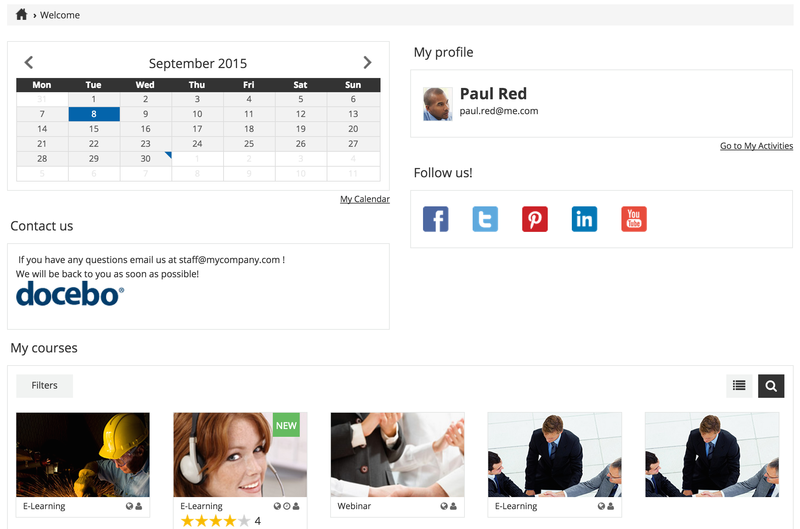 If you have a high number of users, organize them hierarchically using the organization chart tool. You can divide your users into branches according to their role or country. Create additional fields to enrich the user profile with information you may need, such as gender, identity code, country, birth date, or even uploading a file relating to the user. If you’re needing to register a large amount of users, create a CSV file containing the users’ data and upload it to the platform. By registering users in bulk, the process is simplified. To learn more about these procedures, please refer to the the User Management section of manuals..
Once you have populated your platform, you’ll then want to create your courses. 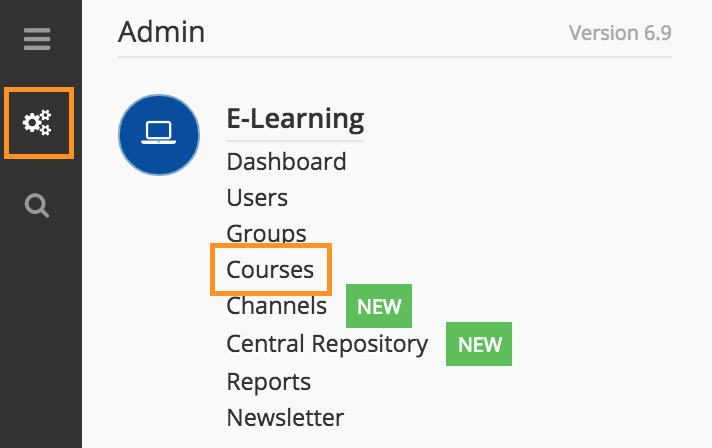 Click the Admin icon from the sidebar and select the Courses item. The course name should simple and clear. Users should instantly understand the topic of the course upon reading the title. You can choose a thumbnail image from the library, or you can upload a customized image from your computer relating to the course topic. Try to create different thumbnails for each course, as to avoid redundancy by using the same image. Write a description so your users will have a clear idea of what they will learn in each course. The description is very important if you’re wanting to sell your course later, as it will allow users to understand if your course is right for them. The course code is not mandatory, but could be useful if you have many courses, courses with long titles, or courses with similar topics. Assigning a code to a course will allow you to find your course in an easier way. In this area, you will be able to add learning objects for your users. A SCORM file can be tracked, therefore all the activities made by users will be reported. You can create these kinds of learning files using an authoring software like Articulate or Captivate. Docebo supports the SCORM Standard. Click here to learn more. A TIN CAN file is an E-learning software specification. This type of software allows learning content and learning systems to speak to each other in a manner that records all types of learning experiences. Learning experiences are recorded in a Learning Record Store, or LRS. Docebo supports the Tin Can Standard. Click here to learn more. A Video can only be seen online; downloads are not possible. For this kind of learning object, you will know if users have seen it or not, but you can’t know the time spent viewing it. Click here to learn more. A File can be uploaded by you and downloaded by users. You can upload different kinds of files: pdf, ppt, images, zip, doc, xls, etc. The slide converter is a useful tool that allows you to upload a presentation from your computer (as to be a PDF, PPT or Openoffice file) and turn it into a project to play online. Click here to learn more. The HTML page can be customized with text, links, or images. You can also embed videos from YouTube or Vimeo. Thus, you don’t need to have the content stored on your computer because you can pull it directly from the Internet. Surveys and Tests are tools that allows you to create questions for users to answer. The difference between the two tools is that the Survey doesn’t provide you with a final evaluation of individual users because the answers compiled in the system remain anonymous. On the other hand, creating a Test allows you to monitor the answers of each user and set a minimum score needed to pass each test. An AICC file uses the HTTP AICC Communication Protocol (HACP) to permit exchanges between course content and the LMS. Docebo supports the AICC Standard. Click here to learn more. The Assignment objects are activities that instructors ask learners to complete by uploading (or link to) a video or a file; the instructors will then be able to evaluate these videos or files. Click here to learn more. 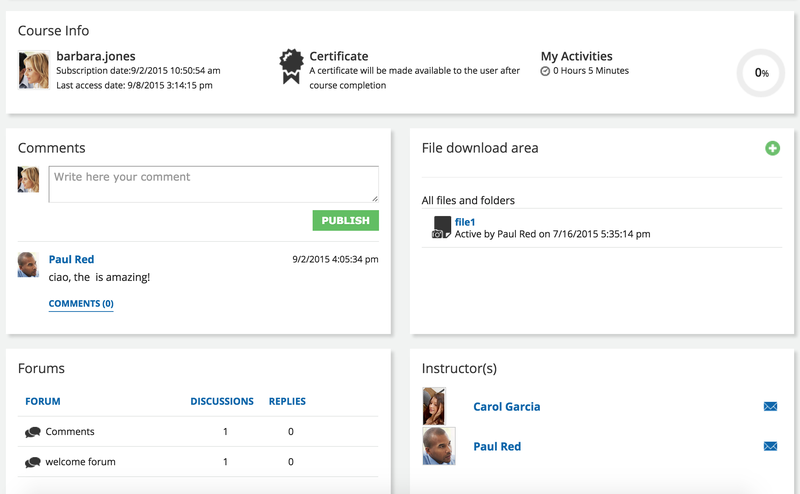 You can organize your course layout by adding Widgets: Course info, Comments, File download area, Forum. All widgets remain in one page so users will be able to easily find what they need. When the course is ready, you can enroll users. Remember: If you have previously organized your users with the organization chart, groups, or company roles tool, you will be able to subscribe several users at the same time. The dashboard is a page that lets you choose the information and modules you want to be easily accessible for your users. It also highlights the relevant activities that users should track. You can create as many dashboards as you want, then assign specific dashboards to each kind of user you manage in the platform. For example, you can customize a dashboard based on your organizational chart nodes by building and assigning a different welcome page to each branch. You can also create dashboards based on the user’s level. For example: Create a dashboard for the super admin, a dashboard for the power users, and a dashboard for the learners; each dashboard will display different information as per your needs. After you’ve provided your users with all of the information they need to access the platform and begin completing courses, you can analyze the activities made in your platform. 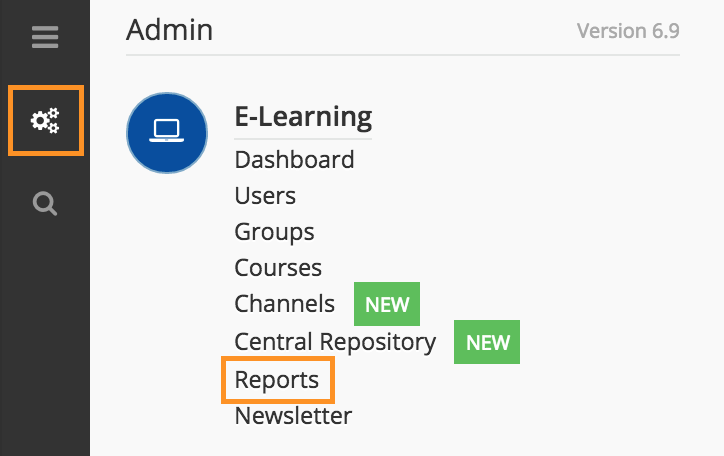 In the Admin Menu, you will see the Reports item. 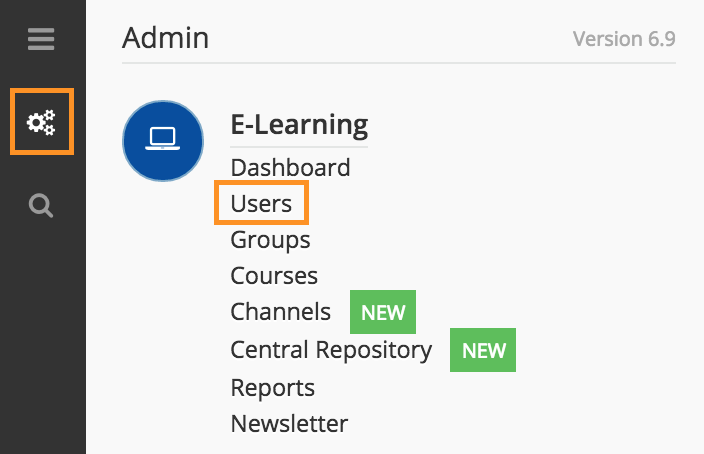 In this area, you’ll find all of the reports you can generate regarding statistics of users or courses. You can also create custom reports to analyze specific information. Reports are vital for online training, as they allow you to monitor and take note of what exactly your users are doing on the platform. To learn more about reports, please read the Reports manuals.